When Steve Jobs was 11 years old, he insisted his parents find him another school to attend because he could not thrive amidst the bullying atmosphere at his current school. At age 13, Richard Branson transferred from Scaitcliffe School to Stowe School because of his struggles with dyslexia. Thomas Edison’s mother pulled him out of elementary school when he was seven years old. She began homeschooling him because his teacher found him “difficult,” which was likely due to his early hearing loss and possible ADHD. Whether it’s bullying, a lack of academic challenge, school safety, or learning differences, sometimes a child can’t reach his or her potential without changing schools. And regardless of the situation, all parents want to be sure their child is going to the best school possible. 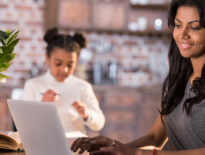 Unless you are choosing a traditional homeschooling option, you should consider the caliber and style of the teachers at your child’s new school. 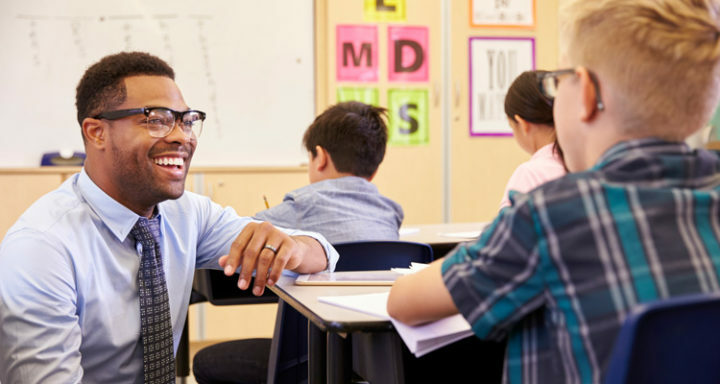 “There is increasing consensus among research and policy circles that teachers affect students’ academic achievement more than any other school-related factor,” according to a study conducted by Research Alliance for New York City Schools. 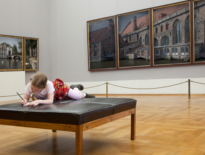 Teachers have different styles just as children have preferred methods of learning. Ask your child to describe his ideal teacher. Does he need structure or prefer a more casual approach? Are group discussions helpful or would a one-to-one model work better? Once you know what would work best for your child, you can ask specific questions of your potential schools about their teaching methods. 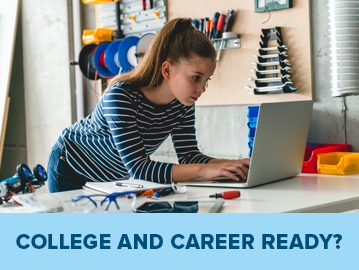 Career education is essential for all students—students planning to attend college as well as those who want to immediately start training for a career after high school. The Brookings Institution cites a study by Daniel Kreisman and Kevin Stange that found “CTE (career technical education) participation is associated with higher wages …” So, be sure to inquire whether a potential school offers some type of career education, especially for high school students. Some schools, including many virtual schools, even offer classes that allow students to earn college credits and prepare for certification exams. 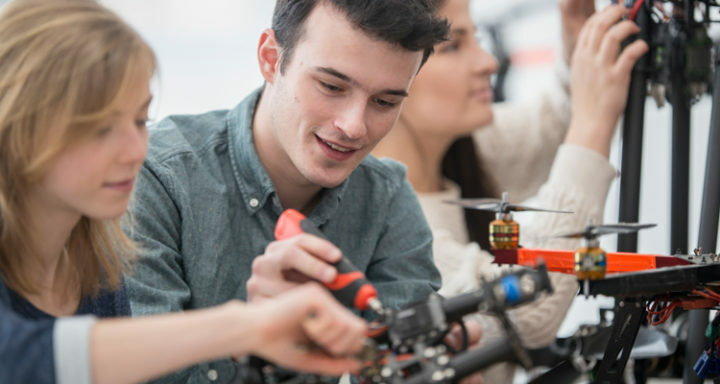 The use of technology in the classroom has proven benefits for students, including improving real-world skills, increasing student engagement, and initiating better student collaboration. 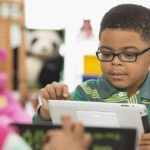 A study by CompTIA found that “78 percent of K–12 teachers and administrators believe technology has positively impacted the classroom and the productivity of students,” according to U.S. News & World Report, “Roughly 65 percent of educators surveyed also believe that students are more productive today than they were three years ago due to the increased reliance on technology in the classroom.” Check whether technology is widely used in the schools you are considering, including whether students are given tech tools such as laptops or other learning devices. The classroom environment plays an important role in a student’s education, so don’t overlook it in your search for a new school. Schools and teachers have discovered that switching from a traditional classroom setting of stationary desks to a more creative classroom layout allows teachers more flexibility. Also, consider the class size as some students have a harder time in larger classes than others—especially introverts and those who are more reluctant to participate in large group discussions. And most importantly, consider the safety of the school. Ensure that your child’s potential school has the necessary safety measures in place and that it will be prepared in the event of an emergency. Studies show that parental involvement is critical to your child’s academic success. And “the school plays an important role in determining the levels of parental involvement in school,” the National Education Association reports. It’s important to choose a school that encourages and allows you to be involved in your child’s education. Try to meet the principal, head of school, and other administrative staff to ensure you all have the same goals for your student and that you will have some input. When looking for a new education alternative for your child, consider public school at home. 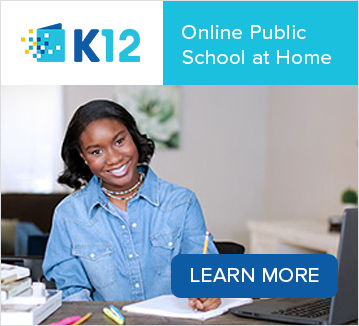 K12-powered tuition-free* online schools offer a rigorous curriculum that will challenge and engage your student, along with state-certified teachers who will give your student personalized attention. Many of these virtual schools also offer dedicated career-oriented programs. Instead of a classroom in a school building, students learn in the comfort and convenience of their own homes or anywhere with an internet connection. 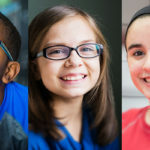 (K12 also offers blended schools in some states, where students attend an onsite school location one or more days a week in addition to receiving online instruction at home on other days.) Online students can still participate in extracurricular activities and clubs. And, as a Learning Coach, you’ll play an important role in your child’s education. 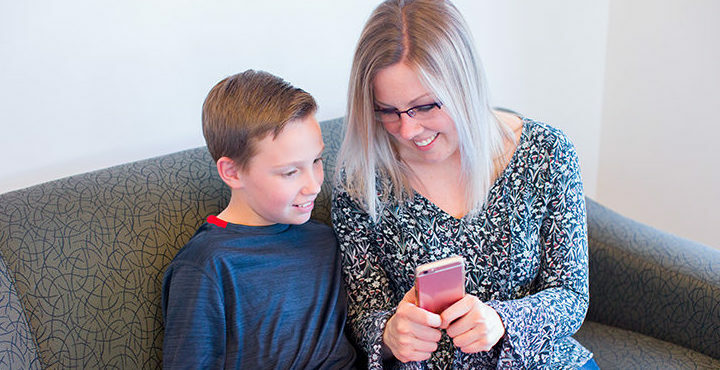 Looking for a new school can be daunting, but the recently introduced K12 App makes it as simple as checking your phone. You can search for all available K12-powered schools by typing in your zip code or state. And you’ll get an inside look at online learning by grade level, including a sample schedule and the time commitment required for the parent/Learning Coach. The K12 App makes enrollment simple as well. You can easily upload your info and documents and complete the application on your phone. Once you set up your Learning Coach and student accounts, you’ll receive important notifications and contact information for your school’s academic administrator and teachers. Choosing the right school is one of the most important decisions you can make for your child. Carefully consider what’s important to your family, and be sure to fully explore all your options! *Families do not pay tuition for a student to attend an online public school. Common household items and office supplies like printer ink and paper are not provided.